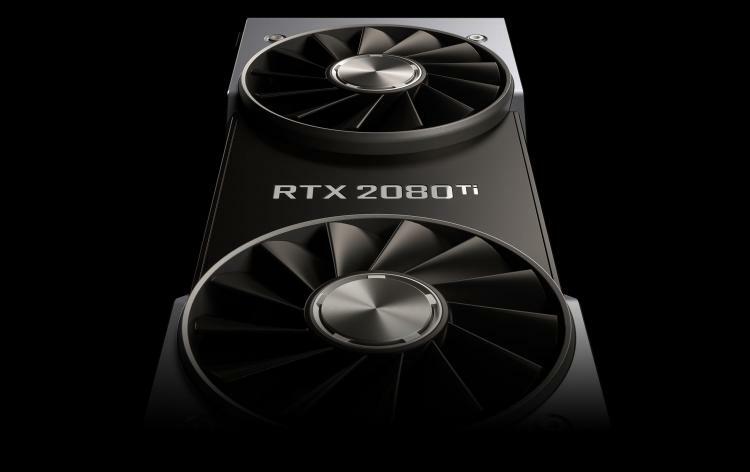 With the recent release of NVIDIA Turing architecture-based GeForce RTX 20 Series graphics cards, Alphacool presents two full-cover waterblocks for the reference GeForce RTX 2080TI and RTX 2080 graphics cards. The Alphacool Eisblock GPX-N Acetal NVIDIA GeForce RTX 2080Ti M01 and Alphacool Eisblock GPX-N Plexi Nvidia GeForce RTX 2080Ti M01 are both compatible with the GeForce RTX 2080 Founder’s Edition and the GeForce RTX 2080TI Founder’s Edition graphics cards. The Acetal version gives a plain and simple visual while the Plexi version has a viewing window with RGB lighting. 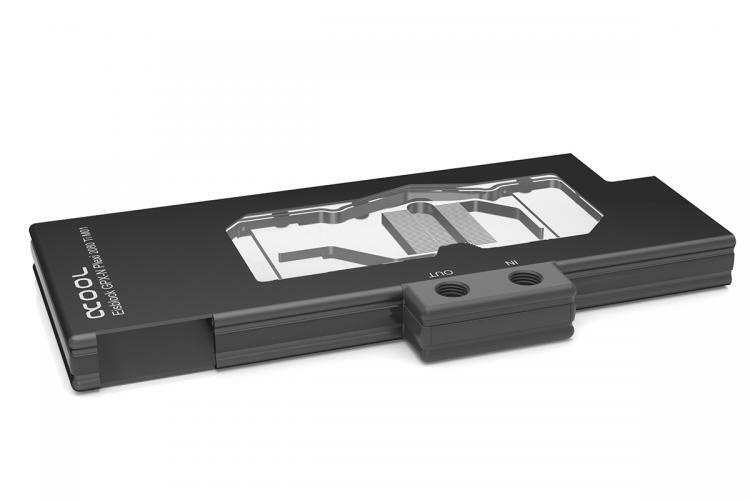 The Alphacool Eisblock GPX full-cover waterblock delivers high-performance cooling for the Turing-based GeForce RTX 2080/2080TI Founder’s Edition graphics cards. 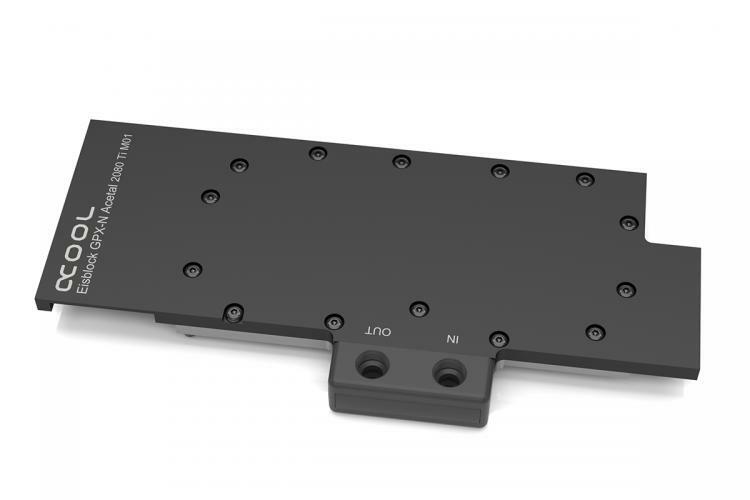 The waterblock features a copper cooling plate with 35 micro fins at 0.6mm thin with coverage for the GPU and memory. Alphacool Eisblock GPX-N full-cover waterblocks are fully compatible with popular motherboard-based RGB lighting control software including ASUS Aura Sync, GIGABYTE RGB Fusion, MSI Mystic Light, ASRock Polychrome RGB and BIOSTAR VIVID LED DJ. Connecting the RGB LED strip may require a male to female adapter on some motherboards. Both the Eisblock GPX-N waterblocks for GeForce RTX 2080 FE/RTX 2080TI FE are now available for pre-orders at Aquatuning.